Starting in mid to late March with the arrival of the daffodils, Bartlett Pears, forsythia and crocuses and carrying onward to the Tulips, roses and dogwoods Atlanta is a panacea of color and scent that delights all of our senses. Not many places on the planet rival the beauty that arrives in Atlanta each spring, however this beauty comes at a price. Pollen, the unwelcome yet necessary culprit that produces this cornucopia of color coats our noses, throats and eyes. Pollen counts measure the amount of pollen grains in a cubic meter of air. Pollen counts that reach above a thousand are considered to be extremely high. 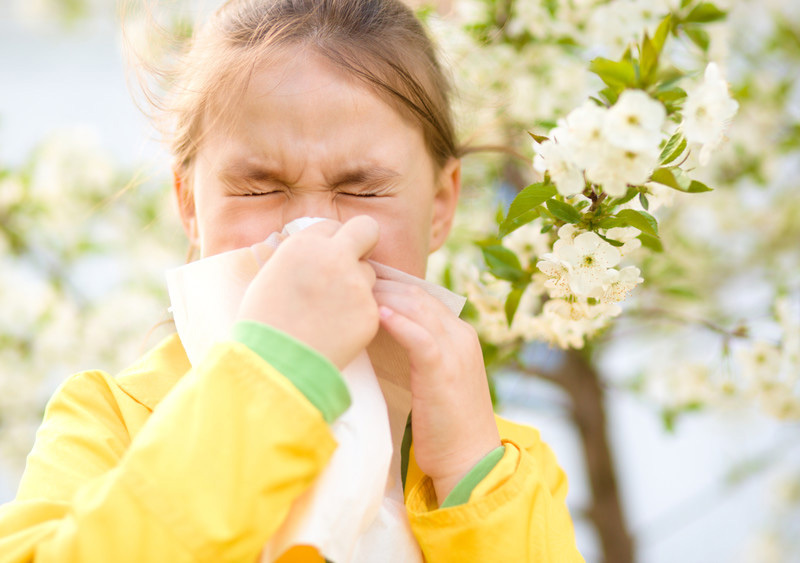 With pollen counts that can regularly hang out at 2-3 thousand and have reached over 9000 you can understand why we have more than our fair share of coughing, runny noses, congestion, scratchy throat and itchy eyes during these beautiful spring days. Believe it or not even with our tremendously high pollen count we haven’t even reached the top ten pollen counts in the country. Internationally Islamabad has the highest counts reaching the 40,000’s! No matter what the pollen count is where you are there are things that you can do to help minimize your symptoms. Monitor the local pollen count. Weather.com publishes the daily pollen count, delineating the specific pollens in question and whether it is mild moderate or severe. Know what you are sensitive to and avoid your exposure as much as possible on heavy pollen days. Rinse your hair before going to bed. During the day your hair is exposed to the environment leaving your hair laden with the grains of pollen. Rinsing your hair helps you prevent inhaling the pollen that would otherwise fall on your pillow. Keep your car and windows closed during heavy pollen days. Despite the fact that the temperature is usually perfect and the breeze feel delicious avoid the temptation. Wash your clothes, curtains and linens and vacuum couch and chairs. Animals that are exposed should be rinsed regularly during high pollen count days. This will avoid them tracking the pollen through the home or getting it on your hand while petting. If your allergies are severe consider wearing a mask to filter pollen when you are outside. If you have the misfortune of developing an allergic response consider a Neti pot with a salt solution to flush your nasal passages. It can be quite effective in reducing the inflammation in you nasal passages. Acupuncture and local bee pollen can also be of great assistance in reducing your symptoms. Orally quercitin is a natural antihistamine that can be taken in a tablet form (most effective) and occurs naturally in garlic, citrus fruits broccoli, berries, wine, apples, parsley, legumes and lettuce. For those with severe reactivity immunotherapy shots may limit your reactivity and reduce allergic triggers. No matter what approach you take make sure to keep yourself hydrated. Whatever your level of sensitivity I hope you are able to enjoy the beauty that graces us throughout the spring season.